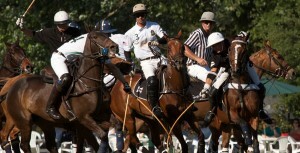 Sunday Polo is held at the Houston Polo Club on the Farish Field. 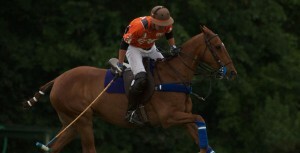 Polo begins promptly as scheduled and matches last approximately 1.5 – 2 hours. The gate opens one hour before match-time. Schedule of play is subject to change in the event of inclement weather. To confirm playing times and field conditions the day of polo please check our weather page. Be sure to check the website, as some games are sold out in advance and tickets will not be available at the gate. Boxes are available annually or by the day. For more information regarding an annual box, please contact us. Box by the Day rentals are available on a limited basis and must be purchased online. HAVE A GROUP BIGGER THAN SIX? Inquire about our new 10 person box! Email events@thehoustonpoloclub.com for more information. Box Holder parking is available adjacent to the Member Grandstand . It is limited on a first-come, first-serve basis and official parking credentials are required. Member Guests and Red Oak Lawn visitors will be directed to their respective parking areas near the polo club office, on the east side of the field. If you arrive during play please be prepared to wait as no traffic is allowed to cross the drive until cleared to do so by security. The club’s official concession, Ruth’s Chris, serves delicious culinary delights and a variety of beverages and spirits in both the Ten Goal Grill located in the Member Grandstand and the new Red Oak Grill located on the Red Oak Lawn. 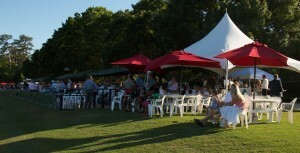 Law prohibits outside alcoholic beverages and food from being brought onto the premises during Sunday polo. Please respect the advice of our security personnel regarding parking and crossing of the fields. The safety of all our guests and players is in their best interest. Please do not cross into private property areas, including the croquet and tennis courts. Our onsite one-stop HPC Tackeria Shoppe offers HPC tack, apparel and souvenirs. The shoppe features tack, apparel, mallets, boots, accessories and much more all from our Wellington partner Tackeria. 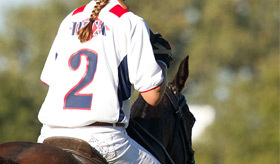 We invite all spectators and players each Sunday to stop in when attending a polo match.